After 20 years in the Telecom Business, travelling the world, as Chief Technical Officer consultant, my heart sent me a warning, 2 years ago, that it was time to change something. So after a little surgery it was time to think about the future. So what could I do? After 20 years in the same business, I thought it could be good to try something else. To challenge myself professionally, to have less traveling, and to be, at the same time, closer to my kids. seense, my hobby, is running nicely with thousands of customers enjoying my apps every day, and this since many years. But seense was not making near enough money to be sustainable and to provide for my kids (going soon to university). But the seense path was an interesting one. It was time to investigate further this path. So basically I spent the last 2 years to transform my hobby into a business, to be able to live from it. As of today I’m on track with my objectives. So the world of software become as of today my sole source of revenue. Let’s make everything to continue on this new adventure that I love. I will give you more details on what seense has become sometime in the future. 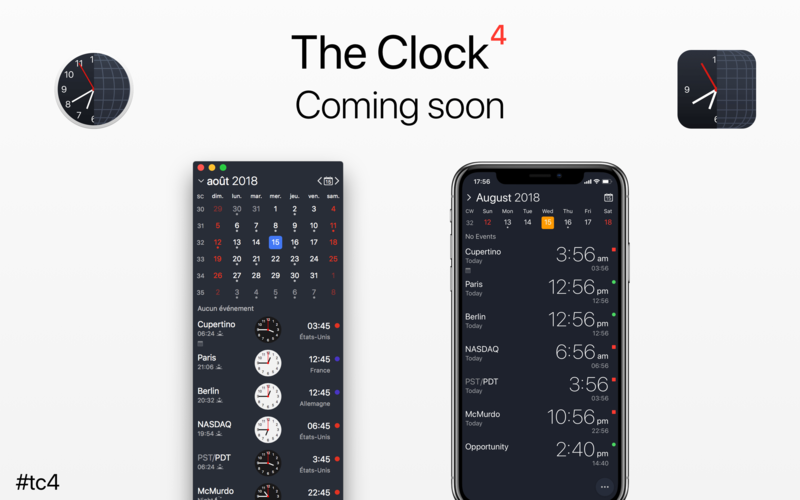 But just a tease… It is so big of an update, that for the first time in 7 years of The Clock updates, I will need to run a really strong beta, as for the first time The Clock has been re-written to be on macOS and on iOS.